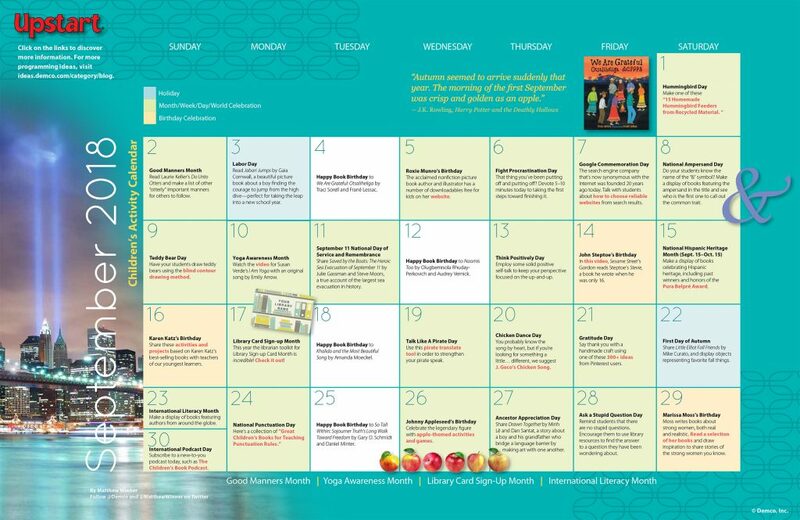 Kick the school year into full gear in your library this September! Not only is it International Literacy Month, but fun celebrations like Teddy Bear Day, Chicken Dance Day and Talk Like a Pirate Day are sure to keep kids smiling and looking forward to their next trip to the library. So what arrrr you waiting for? Grab your favorite stuffed pal and enjoy a good book! I enjoy looking at these calendars, but they would be more useful to me if I could access them well before the month starts. Our library programs are planned at least three months ahead of “real-time.” Would it be feasible to post ahead? Just asking – it might be something of use to other planners. Hi Renee, I am glad to hear you are enjoying the calendars! 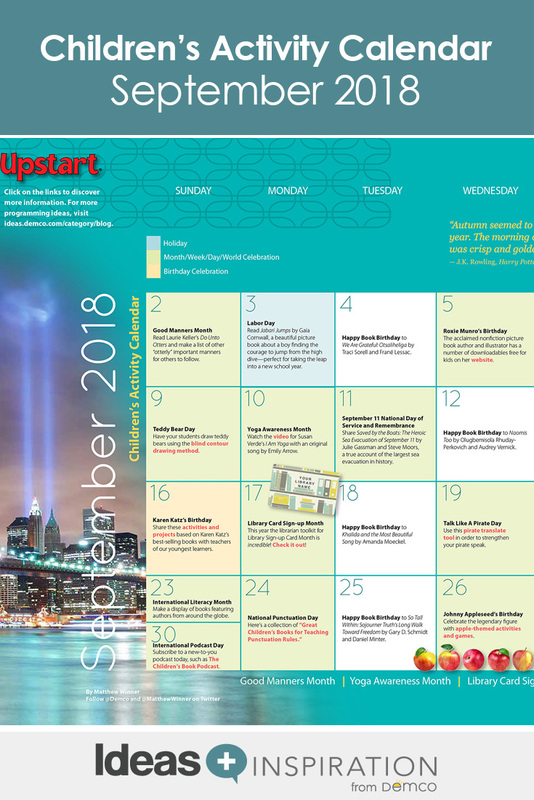 The children’s and early literacy activity calendars are posted about one month ahead, and the teen and adult calendars are posted about two months ahead. You can also access all of our past calendars by using the search box on the upper right. Hope this helps! Hi Annie, thank you for letting us know! We are in the process of fixing this issue.